To make you confident in using our professional air duct cleaning services, on this page we describe our most recent projects. Read about what kinds of problems we solve and how we solve them. 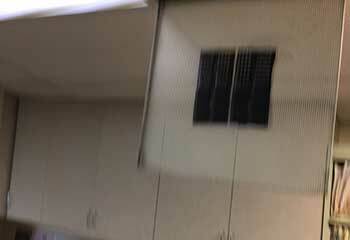 Customer Issue: Dryer vent needed cleaning. 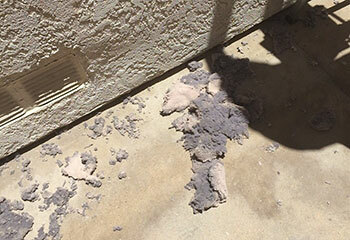 Our Solution: Our technicians removed all the lint and dust buildup insidie the dryer duct and its entire ventilation system, which allowed the machine to struggle less and prevented it from dangerously overheating. Customer Issue: Leaky air ducts. Our Solution: We analyzed the customer’s inside and outside air pressure as well as the air supply of the rooms. We blocked off all registers as well as the furnace before setting off to conduct our duct sealing process. Customer Issue: The current filter was no longer functioning, and was impeding the HVAC system’s performance. Our Solution: We replaced the air filter with a disposable electrostatic one that has an above-average MERV rating to achieve the perfect balance between indoor air quality and HVAC efficiency. 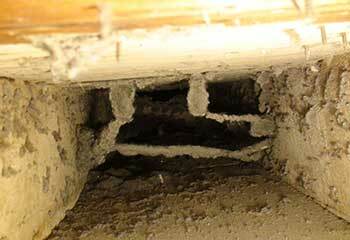 Customer Issue: Damaged air duct insulation and leaks in the basement. Our Solution: Our work began with identifying all air leaks, including the ones that were not clearly visible. We then sealed them with top-quality mastic sealant, applying it with maximum precision. 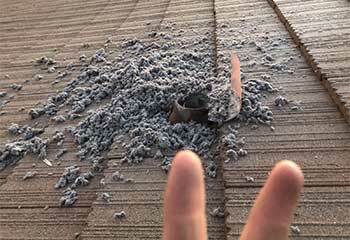 Finally, we replaced the damaged insulating material to optimize the HVAC system’s energy efficiency. Customer Issue: The ducts were filled with dust and pollen. Our Solution: Our initial check confirmed large amounts of two contaminants inside the HVAC air ducts. We loosened up the accumulations with a set of brushes, reaching every corner of the duct system and then used a specially-designed vacuum to remove them. Our cleaning services cover not only HVAC air ducts, but also filters and units. We cater to the needs of all businesses and homeowners in the area. With high quality and competitive rates, we give you the best value for your money. 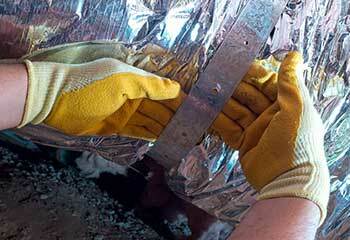 Contact us now to schedule an appointment for urgent air duct cleaning.